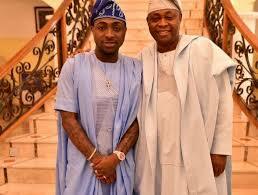 Davido’s father, Dr Deji Adeleke was born on March 6, 1957. He’s a wealthy businessman and is also one of the richest Yoruba men in Nigeria today. His late wife, Dr Vero Adeleke (Davido’s mother) died in 2003. He had two children from her; a son named David and a daughter named Sharon. Its his son who is the third richest musician in the country today and is making waves in the music industry. Davido’s father is also christian, disciplinarian and a philanthropist. One of such philanthropic work Adeleke did was building a church “Seventh Day Adventist Church” which was rumored to cost millions of Naira . 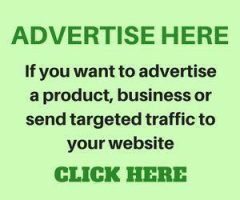 He also sponsored his son’s musical career but being a disciplinarian, he did not allow Davido to drop out from the university without graduating with a B.Sc certificate. He also built a hall at Babcock University, the school Davido graduated from. Currently, Dr Deji Adeleke is the Pro Chancellor and co-founder of Adeleke University in Ede, Osun state. His investments and companies, most especially Pacific Holdings Limited, has interests in various fields such as real estate, oil and gas, e.t.c. He is the immediate younger brother to Isiaka Adeleke, the former governor of Osun state. It is true that money runs in the Adeleke family as they have millionaires. On his part, Dr Deji Adeleke is a billionaire with a current net worth of $700 million as estimated by Forbes. Apart from being one of the most successful businessmen in Nigeria today, he is known to be the richest man in Osun state. His father, Chief Adebayo Adeleke, was said to have drawn the master plan for Banana Island in Lagos which has attracted many foreign investors till date. So anytime you hear Davido saying in his music “OBO”, it means “Omo Baba Olowo” when giving the English translation is “The Son of a Rich Man”. 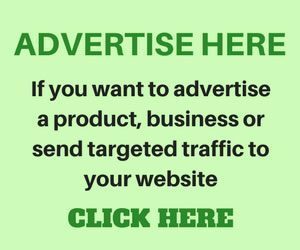 Know you who is Davido’s father, his university and his net worth.